With over 200 individual species, oak is to be found throughout continental Europe. 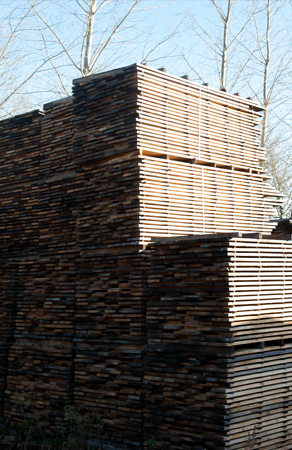 From a commercial perspective, European oak is normally differentiated by country of origin. Eastern European oak, being that from Poland, Croatia, Ukraine, Slovakia, Slovenia etc, tends to be very clean and straight grained with a slightly silvery colour, while French and German oak, which is straw coloured, tends to be quite clean with a mellow texture. English oak is similar to the French and German but tends to be specified separately because it is generally more decorative. 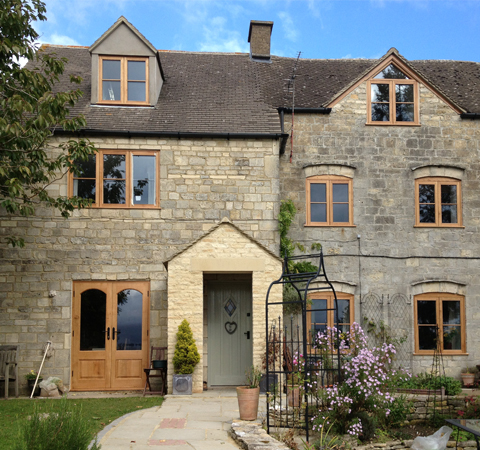 Although we specialise mainly in the production of English oak, we do import a range of prime square edge Eastern European oak which is ideal for joinery work such as door and window frames. Square edge boards of European oak will be supplied in random widths and lengths to satisfy the required specification. Although not particularly wide, the boards do tend to be straight. The heart wood is a pale straw colour with a slight silvery tint. The grain is straight and mild making the wood relatively stable and reliable. Workability + Works well. Relatively stable. Liming & fuming possible. The boards, largely clear of any defects, are straight grained. There may be a small amount of sap on the edges of the board. The heart will not be present although there may occasionally be splits on one edge of the board. Isolated larger defects will be measured out.Accepted: Occasional small tight knots, sap on arris, heart split on one edge if measured out. Not accepted: Curly grain, large or unsound knots, rot, wane, worm holes, bark pockets.